An exhibition of art works by students from the Westchester Community College Center for the Digital Arts. This show will include the traditional fine arts of painting and drawing as well as work from the digital arts, such as Digital Imaging, Computer Illustration, Desktop Publishing, Digital Video, Multimedia, 2-D and 3-D Animation. Animation and Video works will be exhibited at a special gallery screening during the opening, and will play during the exhibition. Car culture, global warming, American iconography, fitting in, fitting it in, urban sprawl and the mall. Fear. The other day a young girl told me there’s no such thing as American culture. These images examine our culture as it stands right now. We’re mobile, we’re crowded, we’re eclectic and diverse but our clothing mostly looks the same. A Hummer or a Prius, it’s the same desire. Granite and stainless steel; double sinks in the en suite master bath. Treadmills lined up shoulder to shoulder in the gym running endlessly 8am to 9pm. Peel back the layers, find the art, the color, the life in it and where it all began. “On the Road” with Kerouac, Gap sells 1969 – we’re looking to mediate the past with the present and find our way into a simpler future. The images in this show explore compass issues related to global warming, the chaos and density of our existence in this place on our planet, and, sometimes, the ability to slow down and contemplate who we are and where we are headed. They will be presented as an installation, photographs flush mounted, edge-to-edge in the space. They will be viewed as a whole piece and as pieces of the whole. In conjunction with Women’s History Month The Center for Digital Art will be screening the film, “Who Does She Think She Is?” a feature documentary directed by Pamela Tanner Boll and co-directed and edited by Nancy C. Kennedy. The film follows five women artists as they navigate the economic, psychological, and spiritual challenges of making work outside the elite art world. From Hawaii’s Big Island to the suburbs of Ohio, from New York City to the deserts of New Mexico, we watch as these women—ranging in age from 27 to 65—fight to honor their vision and their families every day. 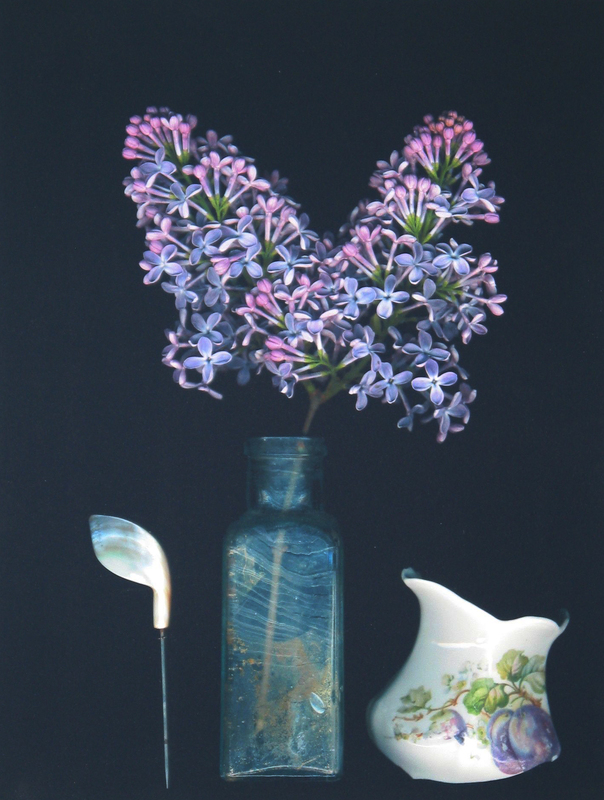 “Teacup Secrets” was inspired by the artist’s mother’s teacup collection as well as a fascination with her family’s secrets and legacies. Whether talked about in whispers, or presented with pride, these stories were as intriguing to her as the teacups. Tattered, faded, and forgotten photographs trigger memories of these stories. 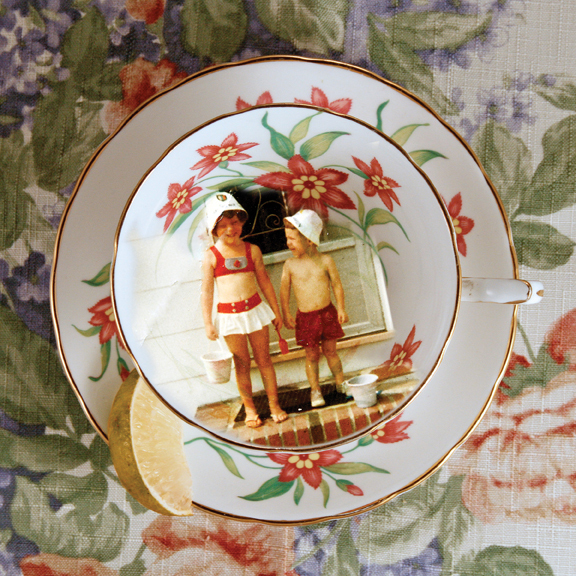 “Teacup Secrets” pairs photographs of the teacups and old family photos along with the story behind each one. This series explores the joy, triumph, dysfunction, and tragedy of family and bears witness to what has passed. What is a Storyboard? A storyboard is a graphical representation of the individual frames that make up the shots of a script either for commercials, feature films, or television animation. A comic book styled blueprint that will be referred to during the entire production and often into the post-production and editing process. To be a storyboard artist you must be a good draftsman and you must be comfortable expressing yourself clearly and creatively to your audience. As a part of the “preproduction team” you will work with creators, producers, production designers, directors and editors. Most of your work, however, will be with the director, whose vision of the project is what you are hired to convey. 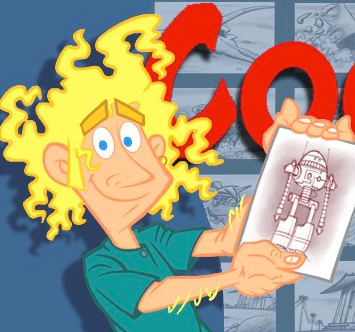 Learn the basics elements of sketching out a successful storyboard with Scott Cooper, a storyboard artist and cartoonist with twenty years of professional experience. He has worked as a storyboard artist, character designer, and background designer for television animation. Some of the Shows he has worked on include: 3rd and Bird, The Wonder Pets, Supernormal, Friday the Animated Series, Nate the Great, Krypto the Superdog, Clifford’s Puppy Days, and Maya and Miguel. $5. for enrolled students, PE-P 240 All others $45, PE-P 241. Jeremy Newberger is one-third of Ironbound Films along with partners Seth Kramer and Daniel A. Miller. 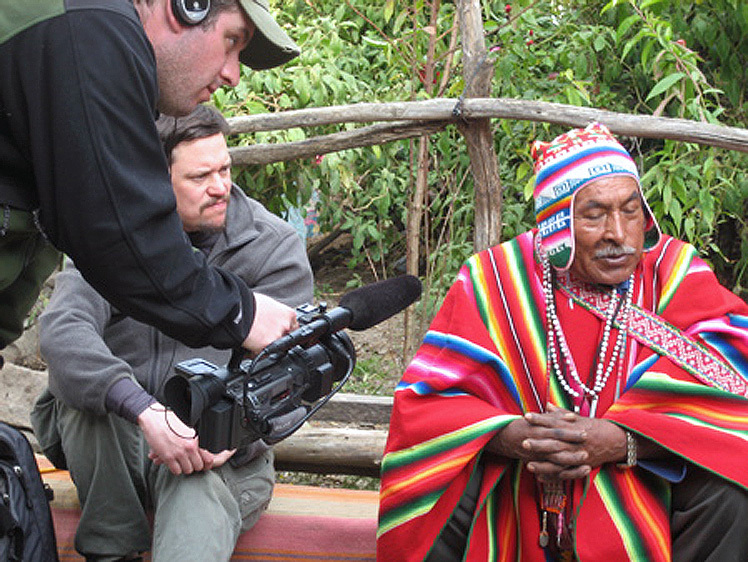 This Garrison, NY based film company recently saw the PBS debut of its film, The Linguists, a documentary that follows two scientists around the world documenting languages on the verge of extinction. The film premiered at the 2008 Sundance Film Festival to fantastic buzz, blogs, and reviews “The talk of the town at Sundance” – Reuters; “A fascinating journey” – Kenneth Turan of the Los Angeles Times; “Funny, enlightening and ultimately uplifting” – Aaron Barnhart of the Kansas City Star. The first film funded by the National Science Foundation ever at Sundance, The Linguists is currently screening at film festivals and other venues around the world. Ironbound Films is currently finishing up The New Recruits, a feature documentary about a battalion of business-school grads who journey to the world’s most volatile and impoverished regions to effect social change through capitalism. As part of a year long fellowship program, they have been assigned to companies in Kenya, India, and Pakistan engaged in the seemingly contradictory enterprise of charging poor people for basic needs in an effort to improve their lives. Jeremy became Chief Executive Officer of Ironbound Films in 2004. He graduated from SUNY Albany in 1995 and lives in Yorktown Heights, New York, with his wife Michele, their son Samson and daughter Annabelle. No fee for enrolled students, PE-P 236 All others $5, PE-P 239. ANDY TOLBERT, Video Editor, will be speaking about his varied career as a video editor. Andy has worked on projects for Pepsico, (both international and domestic), Casey Family Services, A&E, IVillage, The Wellness Channel, The Newborn Channel, PBS, ESPN, ESPN2’s “Cold Pizza”, Paramount and virtually every major broadcast network. Experienced Editor/Preditor. Mr. Tolbert has experience cutting long/short form films, promotional films, documentaries, multi-cam pieces, magazine style (The Insider, ET) works, as well as corporate videos. He has done work for A&E, ABC, ESPN, CBS, Discovery Military Channel, and MSG. He is currently at FBN in New York City. Mr. Tolbert began his career in the entertainment industry as a drummer with several European based heavy metal bands. As an American growing up in Europe, Andy developed fluency in numerous languages. In addition to English, Andy is also able to edit in Italian, Spanish and French. 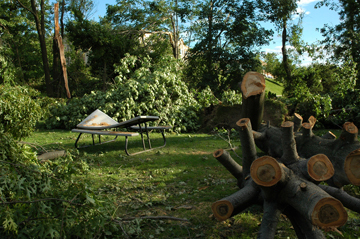 Mr. Tolbert lives in Cortlandt Manor, New York. No fee for enrolled students, PEP-P 242 All others $5, PEP-P 247.